Two exceptional scientists have been awarded prestigious BP funded fellowships to carry out research at The University of Manchester with a range of advanced materials applications, from carbon capture and storage, to smart materials and sensors. The fellowships aim to launch and support the careers of exceptional early stage scientists who would benefit from flexible development opportunities. 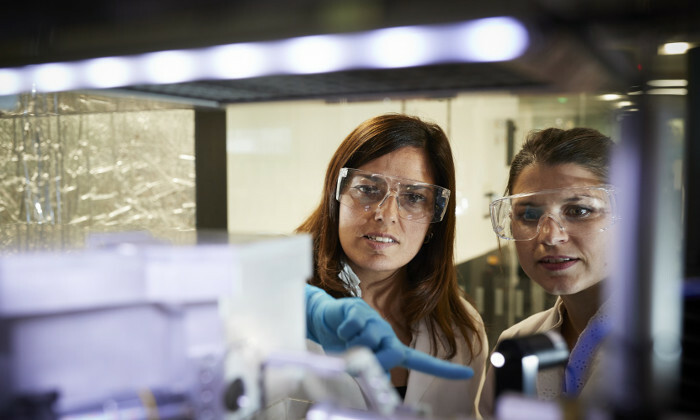 The newly launched scheme, known as the BP-ICAM Kathleen Lonsdale Research Fellowships, has been created and funded by BP through the $100m BP International Centre for Advanced Materials (BP-ICAM). The scheme takes its name from Dame Kathleen Lonsdale FRS, a pioneering 20th century scientist who used X-ray imaging techniques to discover that benzene rings are flat and subsequently became one of the first two women to be elected as a Fellow of the Royal Society in 1945. The two recipients, Dr Lisa Joss and Dr Ahu Gümrah Dumanli-Parry, will join the University at the start of 2019 to begin working on their ambitious research projects. The Fellowships provide five years of funding salaries and research expenses, as well as additional flexible funds to support a healthy work-life balance and career development opportunities. The Fellowships offer the possibility of a highly flexible working pattern, including part-time working, converting from full-time to part-time and back, sabbaticals and secondments.